Market Journal's award-winning television show is now available for iPhone and iPad. 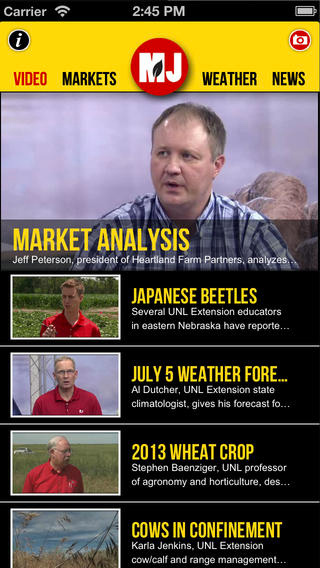 The universal app includes segment clips from the weekly show as well as end-of-day futures prices, Nebraska daily elevator prices, local weather, and news from various agricultural sources. The iPhone version even allows you to ask a question from the experts by snapping a photo in the field and sending it to the Market Journal experts. 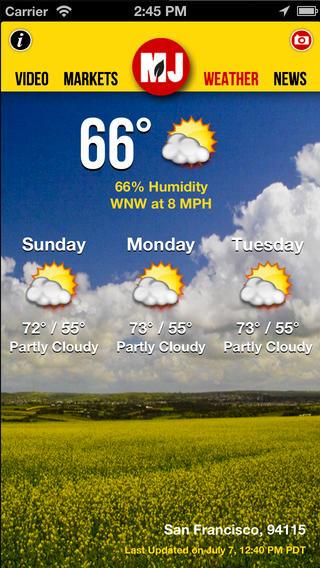 The app is made possible by University of Nebraska-Lincoln Extensions and the Nebraska Soybean Board.